The Huawei P20 Pro is the world's first smartphone to feature not one but three cameras at the rear. But is it enough to take on the phenoms of the Indian smartphone market? 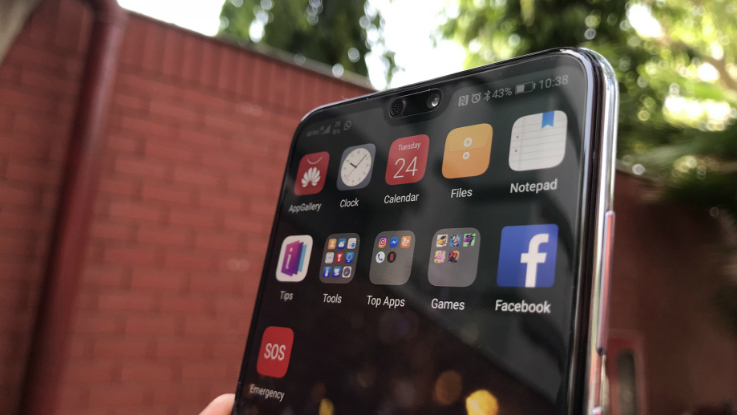 Huawei has been silent in the Indian smartphone market and it has been almost two years since the company has launched its flagship device in the country with the last phone being the P9 in 2016. The P10 and P10 Plus never made to the Indian shores, but finally, the company is back with a bang with its latest Huawei P20 Pro. The smartphone comes with a price tag of Rs 64,999 and it will be available on Amazon starting from May 03, 2018. The Huawei P20 Pro is the world's first smartphone to feature not one but three cameras at the rear. This coupled with flagship level specs and a design that screams premium from all angles. So, is it enough to take on the phenoms of the Indian smartphone market? We spent some time with the device and there are our first impressions. Outstanding design minus the notch! Huawei has been one of the forerunners when it comes to design innovation in a smartphone. The company has a brilliant past record and this one stands tall as well. 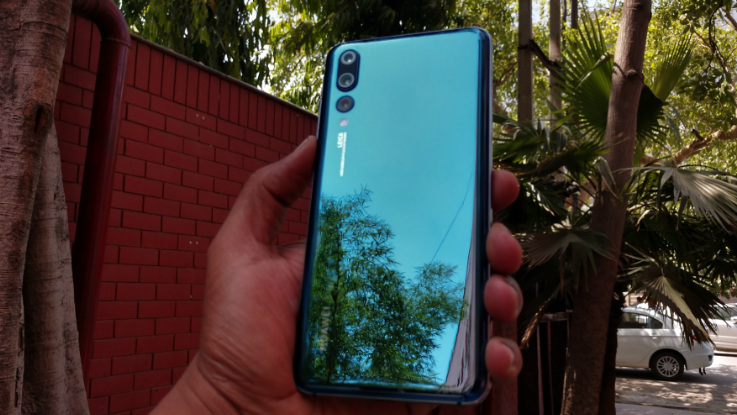 The company has all glass with the P20 Pro meaning that you get glass slab at the back and front with a metal frame holding both. This delivers a pretty seamless look and it is surely one of the most-well designed smartphone from Huawei. However, being a glass body instantly makes it fragile and prone to smudges. But thankfully the brand gives a transparent silicon cover with it. The front is where it gets interesting. The smartphone bears an almost bezel-less display and yes the iPhone-inspired notch at the top. 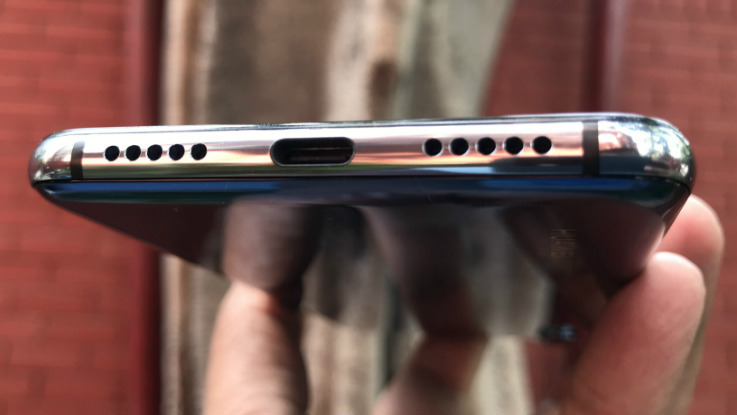 The bottom chin houses a fingerprint sensor, which doesn't make it a true bezel-less phone like Apple iPhone X. Coming to the notch, it is noticeably smaller than we have seen in iPhone X as it does not house the host of different sensors but a just front-facing camera and an earpiece. That said, it is safe to say that in terms of design, the Huawei P20 Pro is probably one of the most beautifully designed smartphones minus the top notch. Coming to the display, the phone features a 6.1-inch Full HD+ OLED display with a screen resolution of 2244 x 1080 pixels and an aspect ratio of 18:7:9. The phone delivers a pixel density of 408 PPI. The display does look bright with deep blacks and vivid colour output. We watched a couple of videos on this device and was satisfied with its wide colour gamut. Further, if you don't want a notch, the company has given an option to hide it. The three Musketeers of Camera! 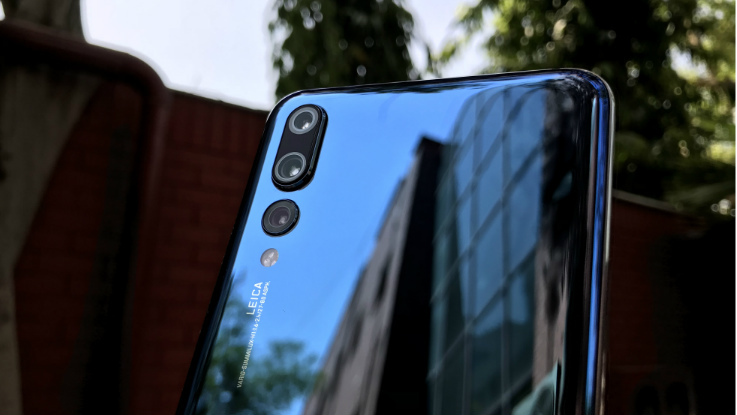 Huawei is one of the few brands that delivers some really good camera-centric smartphones in the past and with P20 Pro, the company has taken the smartphone photography to a whole new level. The latest smartphone features triple-camera setup with Leica branding, which is a first in a smartphone. Starting from the top, you get an 8-megapixel telephoto lens with 52mm focal length. Then there is a 40-megapixel RGB sensor with f/1.8 aperture and focal length of 28mm and lastly, there is a 20-megapixel monochrome lens with f/1.6 aperture. This is not it, the smartphone also features 5x digital zoom, which is possible with 3x optical zoom from the telephoto lens and 2x digital zoom from the main 40-megapixel sensor. The camera specs pretty dope and so is the camera performance during our brief test. The AI-infused camera is pretty fast to focus and it automatically selects the right settings for the according to the lighting condition. This results in pretty decent photos. We took some low light shots and were thoroughly impressed with the kind of detailing it gave. We will talk deeply about this in our upcoming review. Flagship specs with latest Android version! The Huawei P20 Pro is powered by an octa-core Kirin 970 processor along with Mali-G72 GPU. The phone is backed by a 6GB of RAM and 128GB of internal storage. The device runs on Android 8.1 Oreo and it is backed by a 4000mAh battery with fast charging support. The Huawei P20 Pro supports USB Type-C port, WiFi, Bluetooth 5.0, GPS, NFC, dual-SIM and GPS. It is too early to comment on its performance but looking at the sheer specs sheet, it has all the calibre to give a serious competition to Galaxy S9+ and Apple iPhone X. Coming to the software department, the smartphone runs on the latest Android version with company's EMUI 8.1 running on top of it. The interface in this one is pretty much similar as we have in other Huawei/Honor smartphones. It surely comes with some nifty features like an option to choose between swipe gestures with fingerprint sensor or normal on-screen navigation. The battery looks promising and it should be enough to last a day. Apart from this, almost everything seems to be good, but it is too early to comment on this, so just wait for the detailed review Huawei P20 Pro to know how it competes with the rest of the competition. To conclude, the Huawei P20 Pro has all the quality of an ideal flagship device. The smartphone looks gorgeous and the three cameras look impressive. As for the competition is considered, the smartphone has all the arsenal to give a stiff competition to the likes of Samsung Galaxy S9, LG V30+, Apple iPhone X and more.